Picked up my Bountiful Baskets this morning. Got two baskets, plus a box of tomatoes and a tortilla pack. Lots of greens. Told you there were lots of greens. The other box was identical, except it contained one melon. So yeah, do the math. LOTS of greens. Four heads of leaf lettuce. Four bunches of spinach. Four bunches of collard greens. I cannot begin to tell you how overwhelmed I'm feeling with all the green leafy stuff. The fruit, that will all get eaten. Easily. Broccoli, well, I'm getting a bit tired of broccoli, but I'll freeze most of this. Avocados, well, I'm finding ways to slip them in here and there. And I donated two of the bunches of collard greens to the food pantry at the church this morning on my way home. I'll figure out something to do with the other two bunches. I think. Spinach is easy. I use fresh spinach in all kinds of things. Lettuce, well, four heads is overwhelming, but we ought to get through it. I headed to the bookmobile Wednesday. Alone. Big kids were doing schoolwork. The little two had been sent to bed because they were whinily obnoxious and badly in need of a nap. The third grade class was on the bookmobile when I arrived. Or part of it. There were 4-5 kids when I got there, and I'm pretty sure the 3rd grade class at our school is larger than that. Anyway, the point is... I found myself reliving my childhood. One little girl wanted to check out a bunch of books. Fairly easy books, but a lot of them. The teacher kept berating her. She was told that she could only check out the number equal to her grade, which meant she could only have three. The librarian didn't seem to hold to that particular rule, so the little girl was definitely planning to check out the eight or so she had picked out. The teacher was not going to let that go. She informed the child probably six times in the five minutes they were ahead of me in line that she could only have three. She was told that three was plenty if she didn't go choosing "baby books" and instead found something "her level." When she couldn't get the difficult-to-open door open on her way out, the teacher snottily told her that this was proof that she had simply checked out too many books. It went on. And on. And on. While my issues were very different as a child (I was always forced to check out "Easy Street" books when I wanted serious children's fiction, or biographies), in many ways it was the same. Condescending, patronizing comments from adults in authority who didn't like a particular child's choice of reading material. I told a bit of the story to my kids when I got home. Connor interrupted to ask, "Have I told you lately how grateful I am that you homeschool me? I couldn't stand to be limited to my grade # of books, even now." And while I do limit them sometimes, and while I (unfortunately) sometimes disparage their reading choices, I do really try to let them read what interests them, and definitely to let them read books that are "below" their reading level. I pray that little girl doesn't have her love of reading squelched by crabby authority figures. Once upon a time, I used to actually read through Proverbs every month. You know, 31 chapters, so I'd read the chapter that corresponded to the date. It is a habit I've fallen out of. So when the opportunity came along to review Proverbs Prayers: Praying the Wisdom of Proverbs into Your Life Every Day, well, you know I had to go for it. This devotional by John Mason certainly intrigued me. This is such a great concept. Four pages per day -- two of the scripture passage, and then a two page prayer, praying back many of the key points from that chapter. I really loved it. I have one small book, and it is so easy to do on a daily basis. Short, sweet, powerful. He is the founder and president of Insight International, an organization dedicated to helping people reach their dreams and fulfill their destiny. 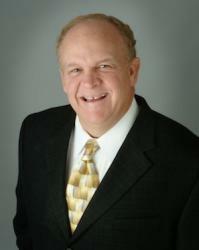 John is in great demand as a speaker throughout the United States and abroad. Learn more about John on his website. A bit over a year ago, I read my first novel by Sarah Sundin. Blue Skies Tomorrow was simply phenomenal. That story was the third in a series taking place in World War II. With Every Letter also takes place in World War II, and it is also phenomenal. 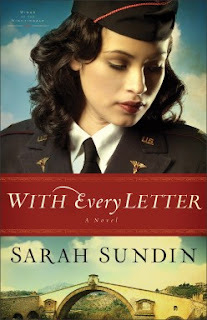 According to her bio, Sundin's "stories are inspired by her great-uncle who flew with the U.S. Eighth Air Force in England during World War II." This is the first book in a new series, the Wings of the Nightingale series. The book switches back and forth between coming from Mellie's point of view and coming from Tom's point of view. That made it so I didn't get into the book in the first couple of chapters. However, once I did start to get to know the characters, I couldn't put the book down. It wasn't that I truly identified with the main characters, but boy did they seem real. So did many of the other characters. Maybe that is what really grabbed me about this book. I kept changing my opinions about the characters, and found myself identifying with different people throughout. Isn't that a bit like real life? And the historical detail? Just like in her other World War II books, the detail is incredible. Plus, at the end, there is information talking about what is historical and what is fiction. One thing I really hate is "historical fiction" that is filled with glaring inaccuracies, and especially with contemporary attitudes being forced into characters from another time. Sundin does not do that. Not that I'm an expert on World War II, but I know something of that era. Sundin's writing rings true. I have a very sort list of authors I make a point to read. Sarah Sundin is one of them. Celebrate with Sarah by entering to win a eReader (winner's choice of Kindle Fire or Nook Color)! 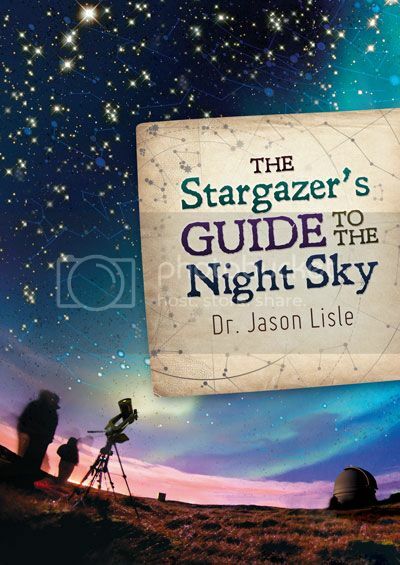 Over the past few months, we've had the chance to explore The Stargazer's Guide to the Night Sky by Dr. Jason Lisle. A 240 page hardcover book, filled with gorgeous photos and numerous illustrations, this is a treasure-trove of information on astronomy. The greatest part of all is that other than the book, you do not have to purchase anything. Dr. Lisle guides you through pages of detailed information, and loads of suggestions on viewing various objects with just your eyes. In addition, there are suggestions for using binoculars. And if the backyard astronomer concept really grabs you, there are also chapters about telescopes and what you can view with them. I expected this to be a good book. I wasn't quite prepared for just how B-I-G the book is, nor was I really expecting the incredible amount of detail. Explore the night sky, identify stars, constellations, and even planets. Stargaze with a telescope, binoculars, or even your naked eye. Allow Dr. Jason Lisle, a research scientist with a masters and PhD in astrophysics, to guide you in examining the beauty of God’s Creation. Create or expand the hobby of stargazing; an outdoor, educational hobby to enjoy with friends or family. Regardless of your circumstances and the economy, you will always be able to marvel at the beauty of our night sky. This book is truly amazing and awe-inspiring. The final chapter on Astrophotography really got my husband's attention. We've talked about a high school astronomy course. This book could be a key resource in that class. I started logging hours for Connor partway through. I am not a unit study homeschool mom. I simply have to start out by saying that. When Connor was working towards becoming a Star Scout -- the first rank that requires merit badges -- we ended up doing some almost unit-study things around a couple of the merit badges he needed. That was FUN, it was productive, and I vowed to at least do it again for two of the Citizenship merit badges (Nation and World) with my other scouts. While I still have to cobble something for Citizenship in the World, the absolute perfect answer for doing Citizenship in the Nation is using Homeschool Legacy. The folks at Homeschool Legacy have a couple of Eagle Scouts themselves. They homeschooled, and their family is one of those super-cool unit-study ones that I kept dreaming we could be. I quit trying though. Unit studies simply don't work here. Well, until now. I was intrigued by the idea of these studies, and once I actually saw them, oh, wow. These studies are fantastic. Especially if you have Boy Scouts or American Heritage Girls. But (I think) these are fabulous studies even if you don't have merit badges to earn. I felt free in this study to not complete all of the AHG merit badge requirements, for instance. If you don't have Boy Scouts, you could do the same with those requirements. Did I mention lots of book suggestions? We are a book loving family. My preferred method of teaching history is to find some good biographies, some exciting and well-written historical fiction, and have a well-written, brief textbook to use as a spine. Most unit studies we have tried are big on activities, but pretty skimpy on decent reading. Or they will have extensive book suggestions, but I have to go through those in detail and figure out which book applies to what part of the unit study. Not with Homeschool Legacy. There is a list of books for each week of the study, and my approach was to head to the library website and put a hold on every title the library had about two weeks before I planned to need the materials. Once I got everything, I'd pick and choose what to actually use. Other than a trip to the library, this was very easy to implement. I was stunned by how much information was packed into the study, and I loved how the merit badge requirements (for both the boys and girls) brought out some great activities. We used We the People: Getting to Know Your Constitution, as my two younger Boy Scouts both need Citizenship in the Nation (an Eagle-required merit badge). This study is designed for grades 4-12 (all the other studies are for grades 2-12), and I primarily used it with my 6th and 8th graders, though the 10th grader got in on some of it, and the 3rd and 1st graders did a bit here and there too. We the People is their longest study at eight weeks. Others range from four to seven weeks in length. For the family read-aloud, we read Shay's Rebellion. I knew practically nothing about this at all, and I really thought I had a decent handle on US history. We followed this up with the suggestion of reading some Washington Irving short stories. Individual readings -- with my dyslexic/struggling readers, we tend to do these as read alouds too. The first week focused on biographies, primarily Benjamin Franklin and George Washington. The kids picked from the pile and we read at least one of each. Do a family devotion, that focused on some of the words of the Declaration of Independence. Start a timeline for this study. I loved that the date range was specified. Go over the Declaration of Independence. There was great info in the study, plus we had some books from the library. The wrap-up for the week was to do a family movie night and watch National Treasure. What did we think? This is a unit study I can get into, and my kids are loving it too. Lots of read aloud time, which might be too much for some families. The activities were fun, and the merit badge requirements -- while not quite effortless -- were pretty easy to incorporate into the study. My children are already arguing over which study to do next. Knights and Nobles (working on the Art merit badge) seems to be winning, but they also are quite interested in Native America (working on the Indian Lore merit badge). There is at least one vote for Weather on the Move (the weather merit badge). And personally, I want to do Christmas Comes to America (the music merit badge). At $19.95, I do believe this study was worth the money. Remember, we are NOT a unit-study family. But this study has been phenomenal. My dream is that Homeschool Legacy would come out with a study for more of the Eagle-required badges -- Citizenship in the World, Environmental Science, Communications, and Personal Management (though that one, really, I could probably create myself). You can visit the Crew Blog to see what my fellow crewmates had to say about various Homeschool Legacy studies. Disclaimer: As part of the TOS Schoolhouse Review Crew, I did receive products as mentioned above for the purposes of a review. All opinions are my own. For more about my take on reviews, visit my blog post here. If you are interested, here are more of my Schoolhouse Crew Reviews. No pretty picture. No exact amounts either. Yesterday was pretty crazy with Scout popcorn sales, so I'm posting after the fact just to force myself to think about what we'll be doing. Oh, Colorado is going to every week, starting in October! I am excited. I think we can adjust the food budget a bit so that we can do every week. I hope so! I am going to be the backup volunteer site coordinator, probably for the B week. Anyway, all I got this past week was two baskets. Roughly, I think this is what we got, combining the baskets. Roughly. Kids have already eaten fruit, but the veggie stuff should at least be accurate. 3 bunches of leaf lettuce: I need to be sure to get them stored away well so we don't end up tossing any. It's been a bit of lettuce overload lately, and with people being sick, we actually ended up tossing lettuce. That's the first in a long time that I've thrown out a significant amount of produce. loose radishes -- a pound and a half. Still thinking on this. 2 English cucumbers -- refrigerator pickles. 3 big bunches of broccoli -- I'll put some in a "free food" container in the fridge too, so it will be snacked on. And we'll eat broccoli with dinner at least once while Dale is away. Probably more than once. We shouldn't need to freeze any. 4 pounds of carrots, plus one -- I have so many carrots. I think I'm going to can carrots this week. I'm also going to buy celery (gasp! I never buy produce at the store anymore!) and saute up the carrot/celery/onion bit for the freezer. Probably with some radishes tossed in too. 7 gorgeous green bell peppers. Two of those are my volunteer extra. I'm going to be doing some salsa this week, and will probably chop and freeze some of these. And just use some. 16 yams -- which will be a couple meals, next week probably, with yams as the veggie. 12-14 apples. Unfortunately, these are what the kids ate yesterday. You know, because they'll last the longest. 14 bananas. These look like we can eat them starting tomorrow. 22. Very ripe. Need to be eaten very soon. Great basket. And after typing that up, it doesn't look like I have a whole lot of work in front of me. I'm trying to figure out how I got 4 pounds of carrots though. I got one basket that had an extra lettuce, and another that had an extra carrot (1 pound bags), so I should have had 3 pounds (plus the extra carrot). So, six or seven weeks ago, I confidently posted about what we were going to be doing for school this year. Because, well, you know... I had it all planned out. Okay, not ALL planned out. There was a hole or two there, that I confessed to. Hadn't yet decided on science for anyone besides Connor, for instance. We got started, more or less, on our planned school year. And... ummm.... Let's just say I've revised a huge chunk of what we are doing for school. Argh. So, to help me keep track of what is going on, I present our "let's try that again" curriculum plans. High School: Connor is starting 10th grade, and we have a bit of a math/science focus. Math -- he is finishing up MyMathLab Algebra 2, and we simply have no idea what he'll do next. Science -- Chemistry, using DIVE and Apologia's chemistry materials. He'll take the AP exam in May. English -- he is using Lightning Literature. British Christian Authors. He'll use another Lightning Lit program for the second semester of 10th grade, but he hasn't quite decided which. He is also using the Student Intensive Continuation Course from IEW. History -- he is finishing up TruthQuest Renaissance and Reformation for 9th grade, and then will move into TruthQuest Age of Revolution 1. Economics -- he'll be using Sonlight's economics package, and probably taking CLEP tests for both micro- and macro-economics throughout this year. Spanish -- he is using some things we have around at the moment, including Mango through the library, and we plan to get him started using Homeschool Spanish Academy later this fall. Plus, he's working on things like music history/appreciation, art history, home ec, and PE. And he hopes to pull together a robotics 1/2 credit course this year. And finish up a computer programming credit or two. Middle School: William is in 8th grade, Thomas is in 6th. They do a bunch of things together, but not everything. Well, they both need to continue working on reading. At least through December, they are using Read Live, an online program from Read Naturally that has literally changed their lives. I'm not sure what we'll do in January, as I am quite sure they will continue to need some focused work. In addition, they are using Lightning Literature's 7th Grade program. I'm loving that. We are only doing one writing assignment for each book, as I want them to have time to work on IEW's Student Writing Intensive B. We had tried this a couple years ago (with easier paragraphs for Thomas) but they just weren't ready for it. They are working with Math U See, quickly working through material they mostly know, but need a bit more "why" and a bit more practice. In history, we'll be doing Truthquest Middle Ages. 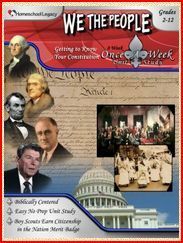 We're also using unit studies from Homeschool Legacy. I never ever ever ever thought I'd say we were using a unit study seriously. Science is an area where they split. William will be working with Apologia Physical Science, using Apologia's new Student Notebook, which is supposed to be available in the next couple of weeks. He also makes extensive use of the mp3 recording. I think this is going to be just perfect for him. I'll talk about Thomas in the elementary school section. And then there are a variety of extra things too. For one, we are using Spanish for You. Plus PE using Family Time Fitness. William will be doing a pretty extensive nutrition/cooking class. Richard and Trina are both using Math U See as their primary math curriculum. They also do a variety of additional things, mostly review products, to stretch skills in different areas. Richard is using IXL. Both are using the free membership at ZooWhiz. We also utilize SplashMath apps on the iPod Touch. We pulled Primary Arts of Language (PAL) out again and work with both of them with that. Richard will mostly do the writing aspect. This is our language arts focus. Richard is currently using Reading Kingdom. Both of them are using Samson's Classroom, another online program. Science: Thomas will join them, and we are working through Apologia Zoology 2: Swimming Creatures. 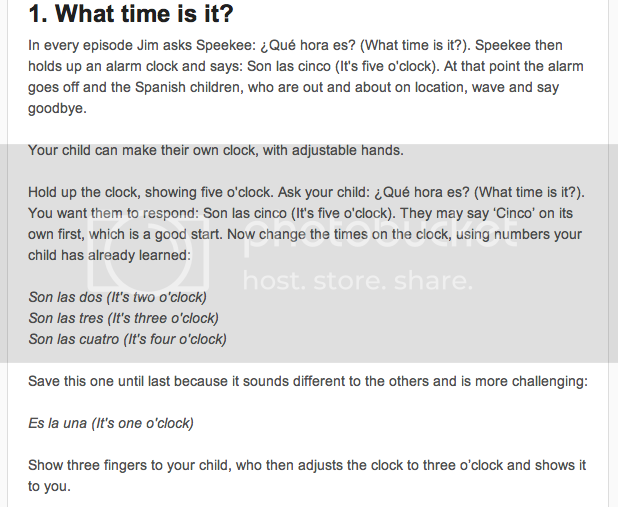 Otherwise, we're using Truthquest for history (the American History 1), doing some Spanish with Speekee, and getting back to using Kinderbach. And they do a whole lot with their brothers. I reviewed Speekee a couple of years ago, and we enjoyed it. When the opportunity came up to review Speekee again, I had to go for it. What is Speekee TV? 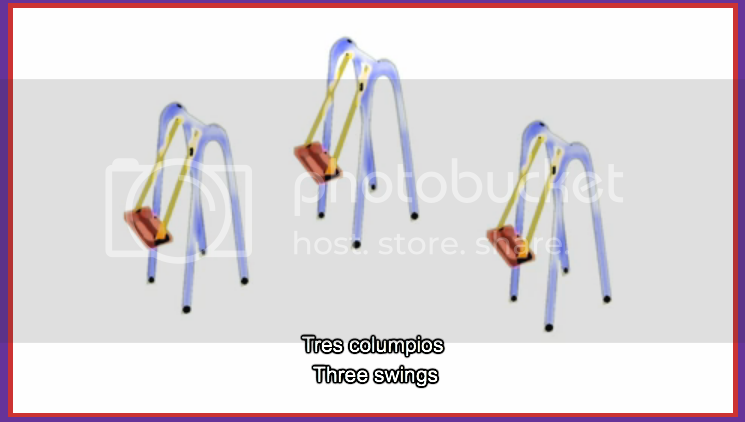 Basically, this is an online program to help young children to learn Spanish. 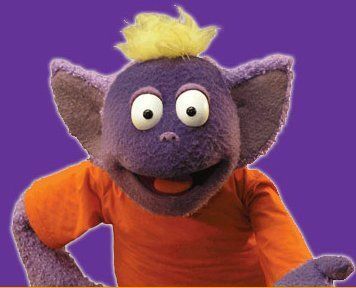 Consisting of ten episodes, each roughly fifteen minutes, each features real Spanish children in real Spanish locations, plus Jim (an adult) and some puppets. There are some worksheets with each episode. Subtitles (which you can turn off) are in both Spanish and English. When we reviewed the program before, this was the extent of it, along with some suggestions for activities. I thought that was well worth the $7.50 per month, or $60 per year, subscription price. Now though? Now they have an optional curriculum guide, FastTrack. This is a 40-week guide, giving you four weeks of activities per video, with four days of activities per week. You can see from the above summary of the first video that it has you watching the entire video a few times throughout the month. On many of the other days, you are watching an individual segment of the video, then doing some type of activity. Some include worksheets, many involve active play. You can also sign up for the email option, which means that the entire week of assignments shows up in you inbox each week. I love that little reminder. Especially when we've had a weird week, as I see that email and think, "Oh! We need to go do Speekee!" Like last time, I am primarily having Richard (8) and Trina (6) do this. The older boys (11, 13, 15) wander in and out, hearing or seeing portions of what we are doing. Both kids are really enjoying Speekee. And both are clearly learning some Spanish. The first week of a video is a little harder, as there is just so much packed into each segment. The kids tend to feel a bit overwhelmed. By the second and third week, though, once we have had a chance to play with some of the FastTrack activities, they are using the vocabulary fairly regularly. Since my big boys are also learning Spanish, they have picked up on what my "Speekee kids" are doing, and they are reinforcing the learning too, and adding additional insight on occasion. I think that is helping the big kids too, though they don't like to admit that. I think this is one of those 'deceptively simple' programs. You get it, you take a look at it, and you think, "This is it?" Then you watch the video -- which my kids love -- and you feel overwhelmed with all the completely different stuff thrown at you. Since this is an immersion approach, all of the dialogue is in Spanish, and that can be a bit overwhelming a well. My favorite part is that it is really low-prep for non-Spanish speaking Mom. I glance over the weekly email, get a vague idea as to things I might need or how I can substitute, and then I'm set to just pull it up during the week. Even with the ease of use, we've had a tough summer, and haven't gotten through anywhere near as much of this program as I'd like. This is something we will continue absolutely, positively. And I'm pretty certain that when the six-month subscription we received as part of the Crew is over, we will be subscribing for another month or two. One great thing is that with the month-to-month, you can cancel any time. All of my kids have been caught singing one of the catchy songs at one point or another in the past few weeks. Even Dad, who has never been here when we've watched an episode, can sing the final "Adios" song reasonably well. Well, he isn't much of a singer, but he knows the tune and most of the words. This one gets at least a dozen thumbs up in my family. Dad wasn't polled. Otherwise known as -- what I've been up to in stocking my pantry. I did this a couple weeks ago, with This Week's Kitchen Adventures. I need to do this every week. Keep me on top of dealing with the things that come into my life. So, this week, I juiced a bagful of limes. I got nearly a quart of lime juice. I plan to turn that into limeade concentrate. I'm considering freezing a bit of it though. Love, love, love the juicer thing I bought a couple weeks ago. I've been getting peppers into my freezer. Bell peppers, Hatch chilies (roasted and non-roasted). Basically, I chop and freeze on foil, then bag up so that I can get what I need when I need it. I've read that I ought to be blanching them, or sauteing them... but I just have never seen where it makes a big difference. I mashed up my finally ripe avocados and froze them. I'm the only person who will eat guacamole, but... I find that I can blend a half-avocado into soup, or into various mexican-ish dishes and nobody seems to notice. I even blended half an avocado into an alfredo-type dish. The key is to do it when nobody is looking. Here in a bit (now that the dishes are washed) I'm going to be using the last of our box of peaches to make a pie. That isn't exactly storing things up for the long-term. This is more of a confession. I intended that I would take this huge box of peaches and store some. Instead, we've eaten all but a few, and those will soon be pie. I have something like 8 plums that I have to do something with TODAY. I'm still trying to figure out just what. I also have roughly 10 pounds of tomatoes that I'll be storing up in some way tomorrow. I've heard a lot about Time4Writing.com, but never really took the time to investigate. Then I had the chance to review one of their programs. Time4Writing offers 8 week writing courses for elementary ages (3rd to 6th grades), middle school (6th to 8th grade), and high school (9th to 12th grades). Any of my boys would be eligible, but I chose to have Connor (going into 10th grade) take a course. 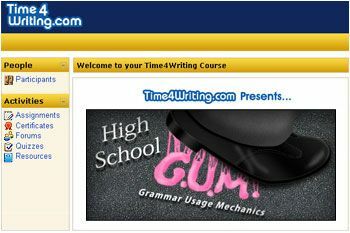 Within each of the grade ranges, Time4Writing offers a number of courses, from basic grammar through advanced. I found the process of choosing where to start a little confusing. Connor really wanted to start with the High School Essay course, though, so we went with that. He was convinced he was ready for it. I thought he should take the paragraphs course, but deferred to his preference. When we first had access to the course, we immediately pulled up some of the available information, such as a 4 week or 8 week suggested schedule. We figured the 8 week pace was probably best for what looked to be a challenging course, so we printed that one, and Connor dove in. Connor did not want my input, as he preferred to do this course on his own. That meant he submitted his work without paying attention to little details like the word "sentence" in the assignment. I received an email from his instructor, suggesting that Connor really was not ready for the Essay level. She was polite and professional, listing specific reasons and examples from Connor's work. Her suggestion was to go back and do the first high school level course, Grammar Usage and Mechanics (GUM). Connor and I read over the email, talked about it, and made the switch. The Time4Writing tech people were very prompt about getting everything changed, and we were again ready to dig in by looking over the suggested schedules and other materials. I was relieved to find that when you switch levels, the 8-week clock starts over. You have the first two weeks of the course in which to make a change, but I was concerned that we were going to have to really rush once we did switch. Because Connor had such an erratic schedule this summer, we ended up deciding to go with the 4 week schedule, but we were doing it when he could. If we use other Time4Writing courses in the future, I would try to time them so that they wouldn't overlap so many camps, vacations, or just unavailable times. 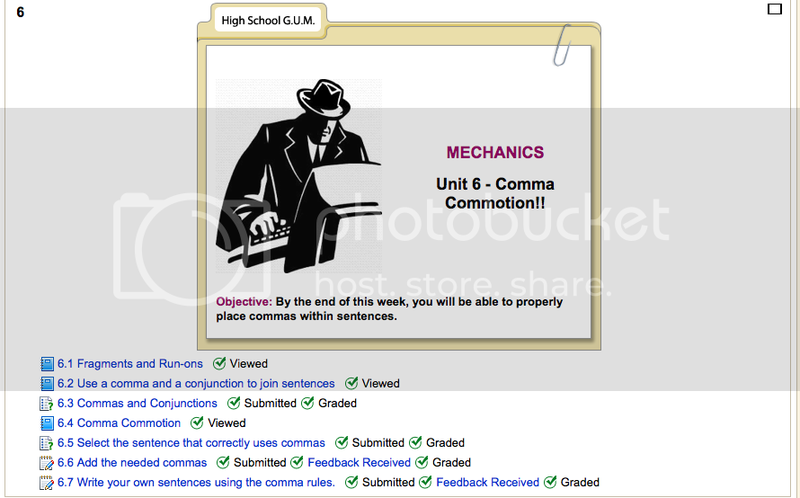 This shows the assignments for Unit 6 - Comma Commotion, which he completed just this week. The different little icons represent different types of assignments. Some (6.1) are sections for the student to watch and/or read. Some (6.3) are quizzes that are graded immediately by the computer. And some (6.6) are submitted to the teacher for her to grade. Those are graded within 24 hours (weekdays) and the student cannot move on to the next section until that is done. I loved, loved, loved how Ms. Leslie kept politely pointing out to Connor that using the spell check was a good idea, and how vital it is to proofread. Connor does really struggle with spelling, and also with making stupid little errors. Having someone besides his mother point that out to him is priceless! Connor is nearly through this course at this point, and he has enjoyed it. This is something that he would consider doing again, and he really liked his teacher and enjoyed the way information was presented. He feels that he did learn quite a bit in some of the units (like commas), and that he needed some reinforcement in other units. I think he would have been better off in the paragraph course, actually. However, this has been something that is good for him. He is sitting with a 99 point something average for the course, which tells me it was too easy. He, however, feels that it should tell me that he didn't know it all before he started, but he has learned quite a bit. This is something we will consider again. I am particularly interested in the course on research papers, but clearly Connor is not ready for that just yet. I'm involved in something new. Econobusters is a website I've subscribed to for quite some time. "Molly" runs that site, and along with Midge, dispenses all kinds of practical advice. Stuff about keeping a home, cooking, cleaning, camping, you name it. The idea is to do things frugally, and to build up your family in the process. Well, now there is a Molly Team -- a group of people who receive and review products that relate to areas that Molly talks about. So here it is. The first Molly Team review. For a company called Everyday Homemaking. "Everyday Homemaking is jam-packed with practical ideas and tools to help you better manage your household and time. 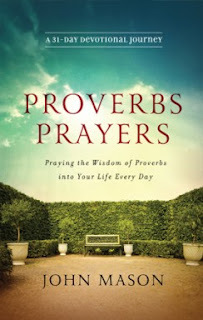 Practical ideas, time- and money-saving tips, useful products, links to our favorite sites--family resources that God has used to enable us to live our lives more abundantly. Everyday Homemaking--practical ideas for busy families, like yours!" 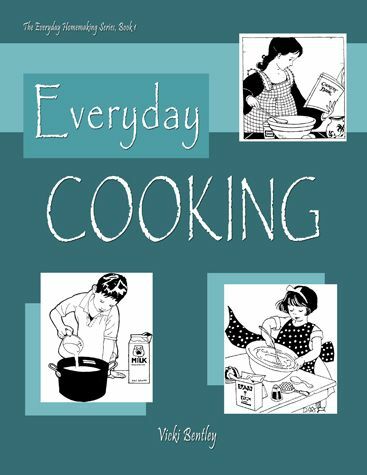 This review is going to focus on the book Everyday Cooking, which we have been using in our home for the past few weeks. Now, if I were more together, I'd be filling this review with all kinds of photos of yummy food and my happy family. Unfortunately, I'm just always lousy at getting pictures taken, so I'm taking a more minimalistic approach here. This cookbook is a hundred pages, spiral bound (which means it lays flat), and is black-and-white. What this cookbook is NOT? It is not a beautiful coffee-table book filled with stunning photos of frou-frou food. Can you tell already that this is my kind of book? Practical. Real. No-nonsense. When I got the book, I started flipping through it, and I just knew this was totally a book for me. Introductory materials -- this includes practical ideas for meal preparation, and ideas for breakfasts. Loved some of the suggestions. Appetizers & Dressings -- dips, mixes, salad dressings. Just a couple of pages. Bread and Grains -- breads, coffee cakes, biscuits, pizza dough, etc. We loved the muffin recipe, and the baked oatmeal has become a weekly breakfast. Yum. Main Dishes & Soups & Sides -- the biggest section of the book. We've tried the Un-Stuffed Cabbage, Hamburger Gravy, Dorito Casserole, Mexican Casserole, Chili, Chili Pie, Fish Chowder, and Cole Slaw. Desserts & Snacks -- which all look amazing. Some appendix types of things -- and this section contains my favorite bit, a checklist of basic cooking skills that I will be using (with a bit of modification to include more "male" things like grilling) for home ec credit for my sons. I love this cookbook. Vicki cooks the way I do. Some of the recipes are prefaced with statements like, "I never measure any of this, so this is a guesstimate." Some of the recipes give you several choices. Most of the recipes just scream out (at me anyway) that the idea is to use this as a base and adapt based on what my family likes and what I happen to have around. Most of the recipes use real foods. But it isn't some crazy out-there thing. I actually already own almost every ingredient, unlike many cookbooks I've tried to use. And it isn't like she is too much of purist to use something like Doritos (and that Dorito Casserole was G-O-O-D!) on occasion. Now, there are a couple of cons. For one thing, there isn't always information on how many servings a recipe will make. Not a huge deal for me, mostly. I eyeball the ingredient list and decide if it sounds like enough. And sometimes it is nice to have a picture or two (and there are a couple in here, but not many). But for the price of the cookbook ($17.99) and the fact that this mostly uses low-cost ingredients in recipes that don't take a lot of time, well, I can guess at servings and make my own notes. The best cookbooks are ones I've written all over anyway. Go check out some of the other reviews though, of this and of Everyday Family Chore System, by heading to the Crew Blog. Disclaimer: As part of the Molly Team, I did receive products as mentioned above for the purposes of a review. All opinions are my own. For more about my take on reviews, visit my blog post here. It's a Wonderful Life has become a Christmas tradition for my family. I'll admit it is not one I grew up with though. I probably watched it at some point as a kid, but the first time I remember seeing the movie was after college. I became a Jimmy Stewart fan around that time, so I was trying to watch as many of his movies as I could. It's a Wonderful Life quickly became a must-view for Christmas to truly be Christmas. I loved the lessons. You know, you don't have to go to big places and build big things to make a tremendous difference. People are more important than things. God answers prayer with what we need, not necessarily with what we ask for. So the idea of 52 Little Lessons from It's a Wonderful Life most certainly appealed to me. Bob Welch has done a fantastic job of putting together 52 little reflections on the various messages in the movie. Do you pay a visit to Bedford Falls every Christmas? Does December feel incomplete without a reminder that “no man is a failure who has friends”? If George and Mary Bailey are annual guests at your home during the holidays, you already know that It’s A Wonderful Life is far more than just a festive seasonal film. It’s a reflection of what we can be when we’re at our best and a reminder that our lives can change everyone around us—for better or worse. Revisit the defining lessons in Frank Capra’s 1946 classic, and discover new dimensions of the film you’ve seen time and again. What can you learn from Mary’s quiet contentedness? Does George’s selflessness make you rethink your own priorities? And how about Clarence’s dogged commitment to his assignment? Join author Bob Welch for a close-up of the characters and themes that shape this beautiful story. You’ll be reminded that life’s most important work is often the work we never planned to do and that God can use the most unlikely among us to get the job done. My thoughts? Given that there are 52 lessons, it seems to be intended for reading one of these 4-5 page chapters a week for a year. I would never be able to do that! For review purposes, I sat down and read a dozen or so in a sitting, and I'd have to say that some of the material really started to blur together after a couple of those sessions. I believe that reading this at a more sedate pace would give me time to absorb and reflect, and it would certainly keep the material fresh. The "lessons" were interesting. Some were things I've noticed too, and I've discussed with my kids. Some were a bit more "a-ha!" for me, mostly in that Welch put something I had vaguely noticed and like into words. So my reaction to those chapters was more "THAT is why I love that scene!" I really look forward to watching this movie with my kids this Christmas season. And I'm tempted to make these 52 "Little Lessons" a bit of an Advent devotional. Disclaimer: As a Booksneeze Blogger, I did receive this Bible for free from Thomas Nelson. All opinions are my own. No other compensation was received. For more about my take on reviews, visit my blog post here. I just did something totally outside my comfort zone. 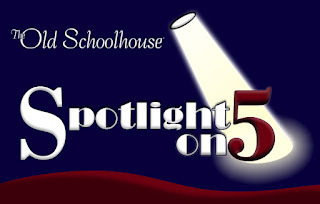 I had an article "published" by The Old Schoolhouse Magazine in their "Spotlight on 5" this month. Struggling Readers. Anyone who reads my blog knows I have two of them. It isn't something I remotely try to hide. But yikes, I feel so totally inadequate to address the whole issue on such a big scale. I'm just a mom, you know? William and Thomas still struggle, though thanks to Read Live, Thomas is getting really close to reading at grade level, and William has made huge strides. I wanted to write something encouraging. I wanted to reassure moms of struggling readers that it isn't their fault. I wanted to encourage them to figure out something they can start doing now and to just be consistent. What I really wanted was to take them all out for a cup of coffee and give them a hug. Society -- and other homeschool moms -- make us feel like such failures for not accomplishing something so basic as reading. Parents who don't have struggling readers offer so many magic bullet solutions that heap on the guilt. I'm lucky. I have three kids who learned (or are learning) to read without so much (or any!) effort on my part, so I know clearly that this isn't all my fault. It doesn't stop the "if only" talk in my head. "But how will you teach chemistry, and what about the Prom?" I was a bit stunned. I knew I had a decade... a DECADE... before I needed to worry about Chemistry (and how did they know that chemistry was the high school subject I most feared?) and that was absolutely forever away. And the prom? Seriously? That is not something that remotely made my list of homeschooling concerns. I was wrong. Not about chemistry. Not about the prom. I was wrong about high school being absolutely forever away. That decade (plus a year) has passed, oh so very quickly. Both that two-year-old and that four-year-old are taller than me, though I still look down on that 6-month old. The oldest is in 10th grade. The other two are in middle school. So, let me just give you a list of what Connor is doing for his sophomore year... and I'll make comments as I go through that. Because I'm finding high school to be far easier than those early years, and I want to share some of that here. English: For tenth grade, Connor will be using two semester-long courses from Lightning Literature, and he will be working through half of IEW's Student Intensive Continuation Course. There will be a few other things, here and there. These two programs don't require me to be doing the teaching. Lightning Lit is written to the student, and basically we sit down and meet on Monday to see what is going on for that week, and discuss what direction he wants to go for writing projects. During the week, we'll discuss his reading, or talk about his writing project, but that isn't something scheduled. I also have to go over his papers (Lightning Lit averages two writing assignments every three weeks). The SICC is just as easy. The teaching is on the DVD. I try to watch that with Connor. The assignments are pretty well laid-out, and he knows what to expect. He rarely needs any input from me until it comes time for me to look at the paper he has written. I try to watch the appropriate section of their teacher DVD series (Teaching Writing: Structure and Style) too. High school English scared me. But by investing in non-consumable programs like these, I have assistance with the teaching, and I get to have the fun of the discussions. The papers still give me little butterflies, but I'm feeling much more confident about those now too. Science: Connor is working through Chemistry this year, the subject I feared a decade ago. We have the Apologia Chemistry and Advanced Chemistry texts, and the DIVE Chemistry program. Connor plans to take the AP Chemistry exam in May. We actually started this last year, for 9th grade, and went in a different direction. This year, we are getting things printed out up front (the DIVE materials), and spending a bit more time making sure we both understand what all is involved. Part of our problem last year was that I assumed Connor could figure out what to do on his own... and he got through the first few lessons missing HUGE chunks of the information. He simply didn't know they were there. So then he had to go back to do what he had missed, and he got overwhelmed, especially in light of a May AP exam deadline. So we did other things for science last year, and are starting over this year. So, my experience here is that while DIVE is pretty much self-teaching -- he watches a lecture, does the readings, watches labs, does labs and lab reports, etc. -- where I failed him as a coach ("teacher" doesn't quite fit) is that I did not go through the materials to be sure he knew exactly what needed to be done and where everything was. This year is going to be so much better. And I don't have to do much besides correct some tests and check some lab reports. Math: For 10th grade, Connor will be finishing up Algebra II (using Pearson's MyMathLab materials, which we adore!) and then we have to make some decisions about what to do from there. He'll start something new in January, but I don't yet know just what. Oh, and even though it isn't likely to count for anything in college, he is probably taking the CLEP algebra exam when he completes Algebra II. The thing is, there are lots of options. Math U See is something we'll consider. ALEKS is another option. And then there are programs like Thinkwell, which is really tempting too. All of the above take the pressure off of me. Math U See would require me to correct his work, where both ALEKS and Thinkwell would track everything for me. The big advantage with Math U See would be that I can use the materials again with my younger kids, just needing to get them the workbook. I keep hoping that Pearson will come out with a Pre-calculus course before we get through Algebra II though. I've been very impressed with that, and the price (though also a consumable thing) is reasonable. History/Social Studies: For 10th grade, Connor will be using TruthQuest Age of Revolutions I for history (I still have to purchase it... but he isn't quite through Renaissance & Reformation -- his 9th grade history, so I just haven't done it yet), and he is also going to be using Sonlight's Economics program, and taking either the AP tests for both micro- and macro-economics OR taking those CLEP exams. I have chosen to go with a subject-based transcript, so it doesn't really matter if Connor completes a particular course all within one school year or not. His Renaissance/Reformation course will go under "Social Sciences," not half under 9th grade and half in 10th. I love having that kind of flexibility. What we are doing with TruthQuest is that I read the guide information aloud (so that I have a clue!) and Connor does additional reading and research on his own, using suggestions from the guide. Having the curriculum CDs from Heritage History helps a lot. Economics is something he can do completely on his own, but I love econ, so we will be discussing this. A lot. He also has an idea as to where he wants to go for college, so we have researched that in regards to things like AP exams and CLEP tests. We discovered that for economics, the CLEP test is counted the same as the AP exam, so we are probably going to go with the flexibility of the CLEP (that can be scheduled any time) instead of the AP (which happens in May). That means that in April/early May, he can focus on the Chemistry exam and not have to worry about two econ exams as well. Spanish: Right now, he is using Mango for free from the library. The plan is that in late October, we will start using Homeschool Spanish Academy. We just can't swing the payment right now, or he'd start this week. So, Mango is giving him at least some familiarity with the language. Fine Arts: For 9th grade, he will have earned 1/2 credit in art history, as we are taking the artist sections of Truthquest and expanding those through materials from Khan Academy and Zane Education. For 10th-12th grades, he will probably earn another 1/4 or 1/2 credit by studying the artists we encounter in Age of Revolution. He will earn a credit of Music History and/or Music Appreciation by working through the materials from Discovering Music over 10th-12th grades. Again, I love using a subject-based transcript, as I don't have to fit the entire music or art course into a year -- we can spread it out and enjoy it more. Driver's Ed: We are still exploring options here, but it is going to happen this year. One requirement will be the traffic safety merit badge. Electives: Connor is looking at a computer programming 1/2 credit, and we are probably going to work on another 1/2 credit of Logic. Those are still undecided, probably for 2013. My role for high school, if that isn't clear in what I wrote above, is mostly as a coach. We've "hired" teachers via DVD and other programs. My main job is to listen and discuss. And correct some papers now and again. Far easier than elementary school. 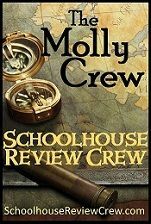 You can read what my Crewmates had to say about homeschooling high school -- starting tomorrow -- at the Crew page! I had a rather late night, so getting up to go volunteer at Bountiful Baskets was a bit tough. I did it though. It was a great day. I was praying for practical, filling stuff this time around. Doesn't that look amazing? This is one of my two baskets, but I think I got extra tomatoes into the picture. I'll be making salsa, especially if I get the chance to pick some tomatoes from my garden. We're having fajitas. I'll be roasting and freezing chilies. I'll be canning peaches (I also got a 20# box of peaches). We'll have corn with dinner a couple of times. I'll be doing up a bunch of limeade concentrate. We've got fixin's for a couple of salads, and oh, it is nice to have potatoes in the house again. And fruit. Lots of fruit. What a great Bountiful Baskets week.